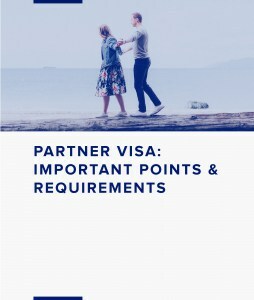 When assessing a Partner or Prospective Marriage visa application, the Department of Immigration and Border Protection (the department) must consider the social aspects of the claimed relationship. The department will use the information provided in this form (your statements), among other things, to assess these aspects. statement should be witnessed or certified according to the legal practices of the country in which you make the statement. Failing that, it should be witnessed by a person whose occupation or qualification is comparable to those listed above. This person should sign, date and specify their occupation at the bottom of the statement.